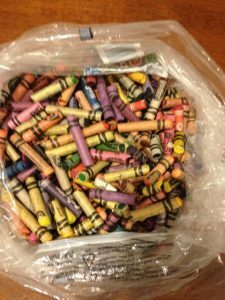 If you have kids, you know you have some broken or ‘too small to use’ crayons somewhere in your house. 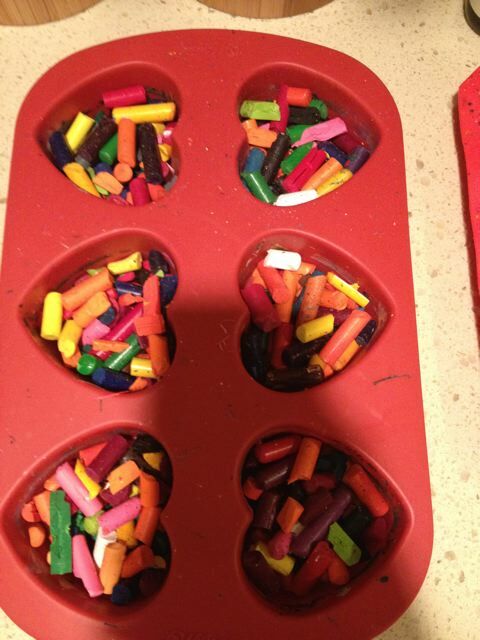 From our 10 classrooms at Toddler Town, we used to have a LOT of leftover crayons! 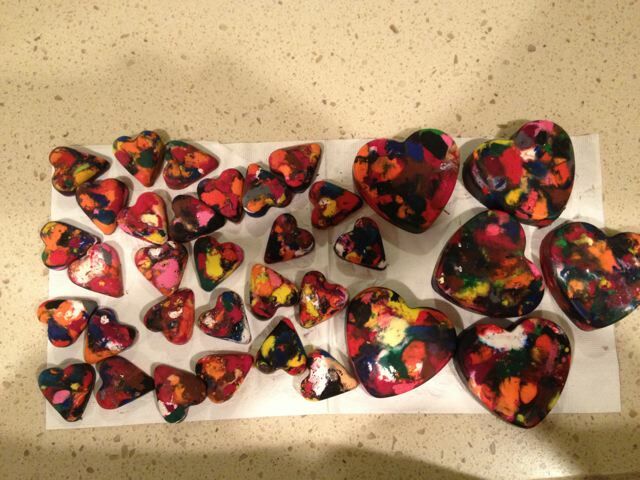 I felt bad about dumping them in the garbage cans until I found a few articles on Pinterest about how to recycle them. 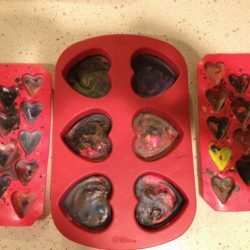 The first time I did this little project was for Valentine’s Day. I put them in a goody bag for the kids in the daycare. They were thrilled! 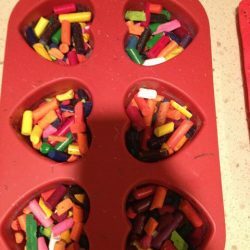 My kids were so excited when I asked them to peel and break the crayons. 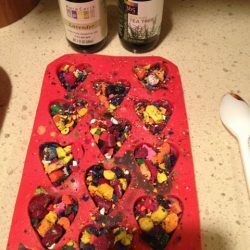 Here’s how I did it: I put them in heart shape muffin silicon pans (from Michael’s) and I added a few drops of essential oils. I put 1 drop of the Tea Tree and 3-4 drops from the Lavender oil. 4. 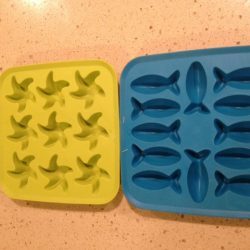 Pop out of molds and enjoy! 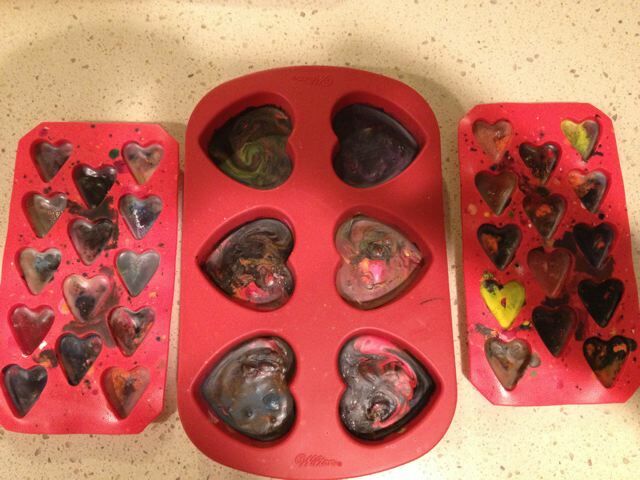 I then baked them at 250F for 15-17 min; the bigger hearts needed a couple more minutes. 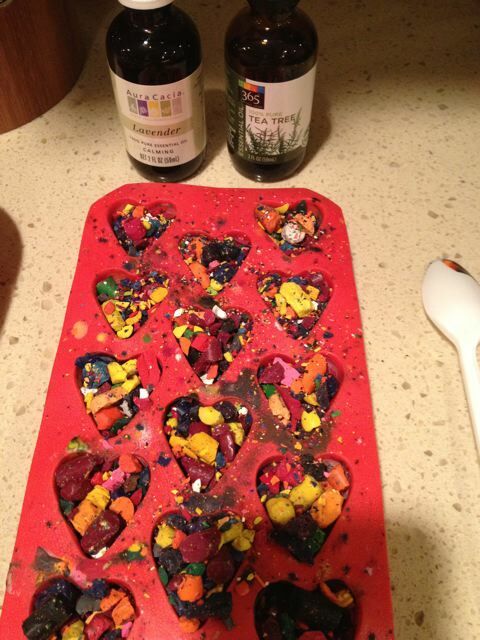 The house smelled so good from the lavender oil in the crayons! 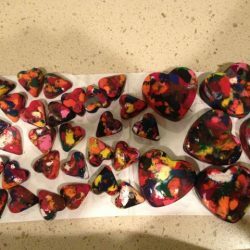 I had to label the bags with “It is melted crayons, not cookies”!!! 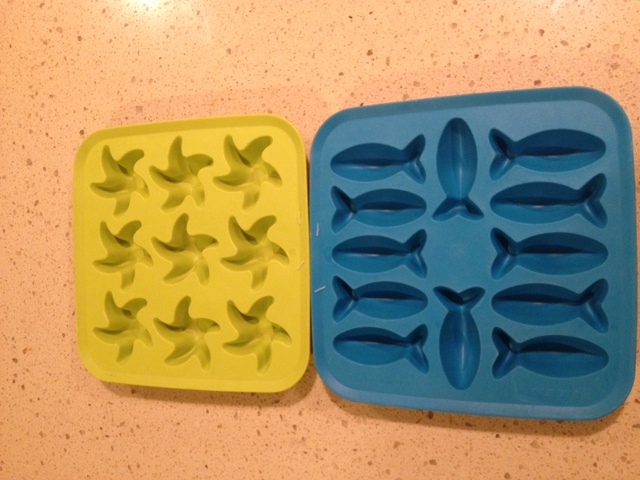 Next time I will try different shapes that I found at Ikea, but I will use a hair dryer or just leave them out in the sun because they are actually ice trays. 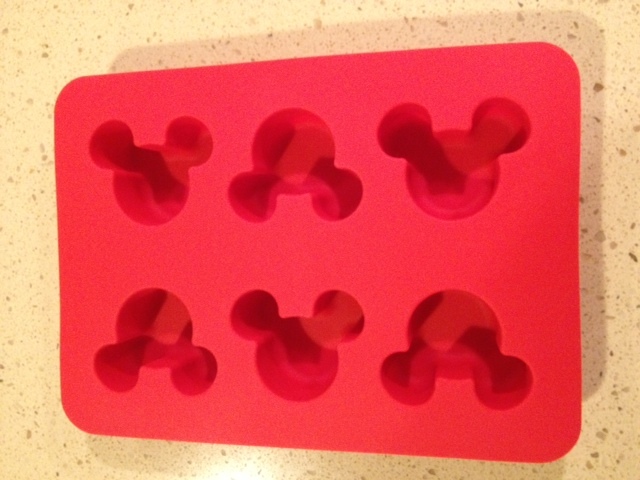 Check your user guidelines before placing trays in the oven. 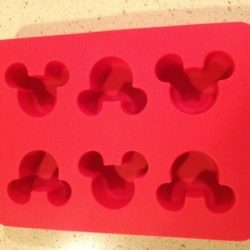 I can’t wait to try the newest one, a nifty Mickey Mouse shape that I just got from Disney World on our vacation!